Poetry: The New Year Starts in Red by Carly Weiser | LADY. Dashing after cabs like it was the running of the bulls. Chasing Buffalo like a caveman dropout. Snorting the devils sriracha in croissant moonlight. Bleeding out ruby red slippers with no way home. “Life’s too short to drink bad coffee,” read the café billboard. So she asked what kind of cocktail she should have instead. 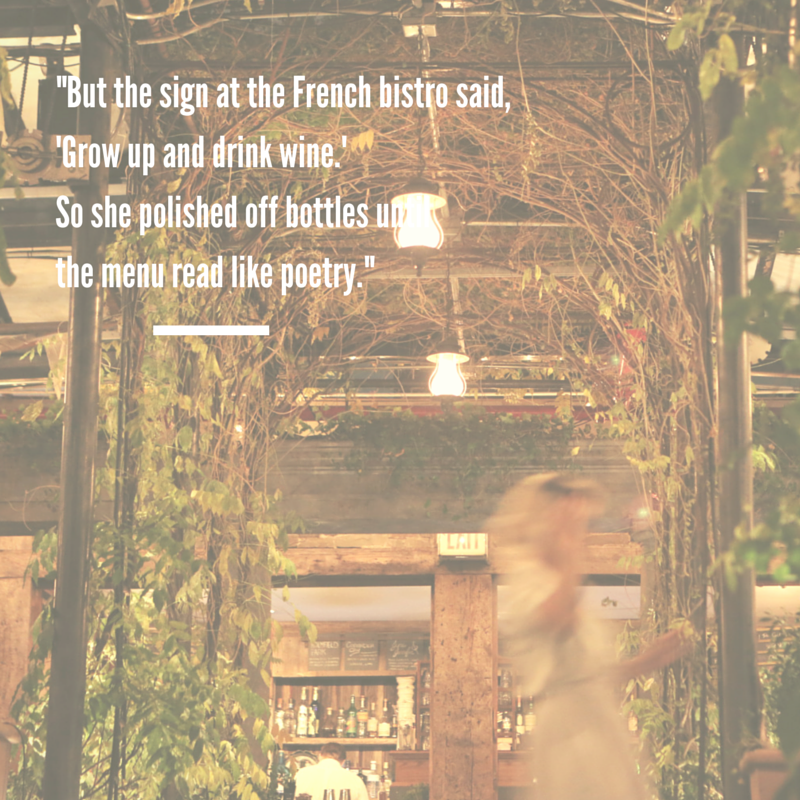 So she polished off bottles until the menu read like poetry. While they flash sample size thighs. But her New Year’s resolutions just came out as last years false hope. She evaporated in and out of doorknobs for the remainder of the evening. Carrying on with men like long division. Binging on full faces of Slender Man. She awoke awake, lost in translation. Cycling like a revolving door through her brain. A dead man bleeding out like ruby red slippers on the hotel towels.